There is a goal that is very common for any organization and that is retaining top talent! We are always improving ourselves and expanding our knowledge and skills through reading, continuing education, etc. Along with that; everyone wants to make sure that their talents and skills are transferrable. In lieu of this, when striving for growth in your organization, be sure to look for qualified individuals to help assist you with your management. You must carefully watch the mannerisms of all those in your establishment. There is someone waiting to help you lead and move forward your core values and principles to build your corporation. This leader may be right in front of your face. Oftentimes, an up and coming leader just needs someone to give him/her the opportunity to step up and lead and hone in on the hidden talents and skills that are ready for that chance. Such a leader, welcomes advice and ideas from others in order to grow and bloom under every circumstance. This leader is an encourager and embodies a positive perspective, seizing the moment to steer his or her colleagues to an achievable goal. Such characteristics in an individual are witnessed over time through professional relationship-building. However, before putting the person in a place of leadership or authority; make sure your goal is to help them succeed! Help them to lead with effectiveness by tapping into their strengths, talents, goals, and desires. towards success in the role. 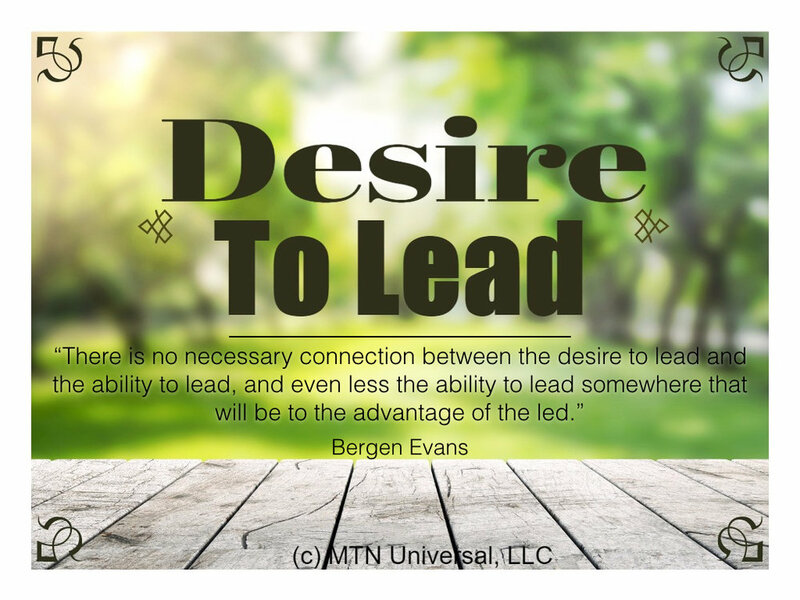 Most importantly, make sure this person has a true desire to lead and success will be attainable for each of you individually and collectively as an organization. Please leave a comment below, send me a tweet on Twitter, or leave a comment on Facebook.